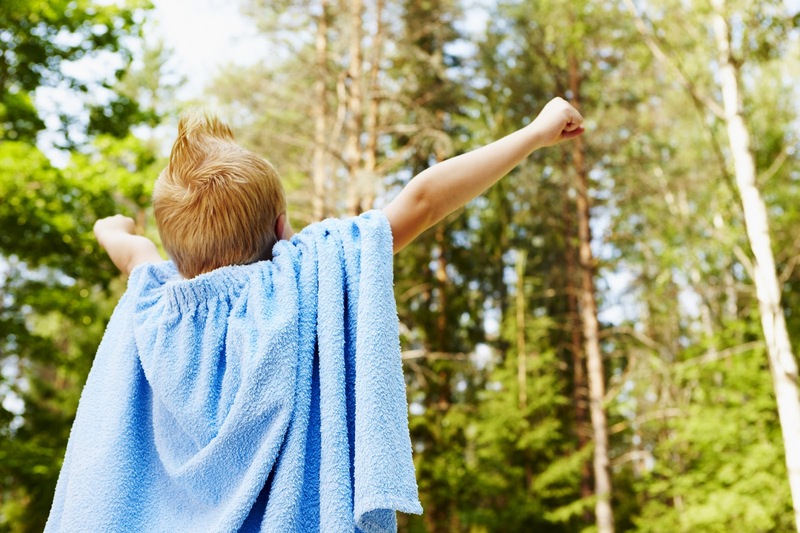 In Celebration of Those Who Champion Children Giveaway – Be someone's hero. No cape required. Often, when I speak with teacher groups, I tell them that I was “that kid.” You know. The pain. The one who was hard to help. When I was younger, I stood in the hallway a lot after diversionary tactics. He has to say that; he’s a teacher. I knew it was rare for those kids to let the positive sink in. But, sadly, they’d file the bad stuff in an iron vault. I do believe that a kid has to hear something good 150 times for every single negative thing. The bad stuff is easier to believe, I guess. I would write ONE sentence that was specific. I included their names and my name. Because I knew it had to be written down. So, my students could read them without the pressure of having to look me in the eye. Without the task of weighing and wondering. Of preparing their deflection while I spoke. With these cards…they could read it 150 times if they wanted. It broke my heart, but the school psychologist told me that the kids she saw who received these messages told her that they’d sit and stare at my name while at home. Heartbreaking. And, I myself, saw multiple kids pull tattered cards from their pockets weeks later just to get a peek at it. This past weekend at nErDcampLI in New York (A conference organized by the wonderous JoEllen McCarthy, Kristen Picone, Denise Toscano, and Ali McDermott based on the conference model by Nerdy Book Club Nerd Camp by fantastic founders, Colby Sharp, Donalyn Miller, and Cindy Minnich) , I spoke with some teachers about using cards to buoy kids. And this morning a wonderful teacher named Kristin Crouch posted this on Twitter. My second book, FISH IN A TREE is a love letter to teachers. My forthcoming book, SHOUTING AT THE RAIN is not but it made me think a lot about these kinds of kids. The kids who think they’re flawed. Broken. Because of things that others have said and done. And I was so happy to see Kristin’s post and the hashtag #TellThemTheyMatter that I decided to do a Ginormous giveaway. To thank you educators out there who are saving kids. Not much make me tear up but the thought of a brigade of educators standing strong for kids gets me every time. ~A set of SATR bookmarks for your class. Make a comment below about anything you wish. BUT please include your twitter handle or email address so I contact you. Previous MG Authors Love Teachers & Librarians GIVEAWAY, 2018. My students love Fish in a Tree!! So excited for your new book! Fish in a Tree and One for the Murphys are among my go to reccomendations. Thank you for reminding us as teachers that those few minutes to write a sentence of kind words can have a lifetime of positive echoes for a child!! I read Fish in a Tree to my class this year. What an amazing story and so relatable to so many kids and teachers!! My school has a contest to design school postcards that we as teachers can then fill out and send to kids and they cover the postage. We have our in town VOC department print them. It is the coolest thing because they are always in the teacher’s room for us to pick up and send. Parents tell me all the time how they love to hang them on the fridge. I try to send a couple every Friday. I even got one from the principal once when I really needed it and I can’t believe he sensed I needed a pick me up!! We all do. I also can not get over how generous authors are to us. You really among the few that treat us so special. These prizes are GREAT! Thanks for the chance to win. Can’t wait to write notes to my kiddos next week! 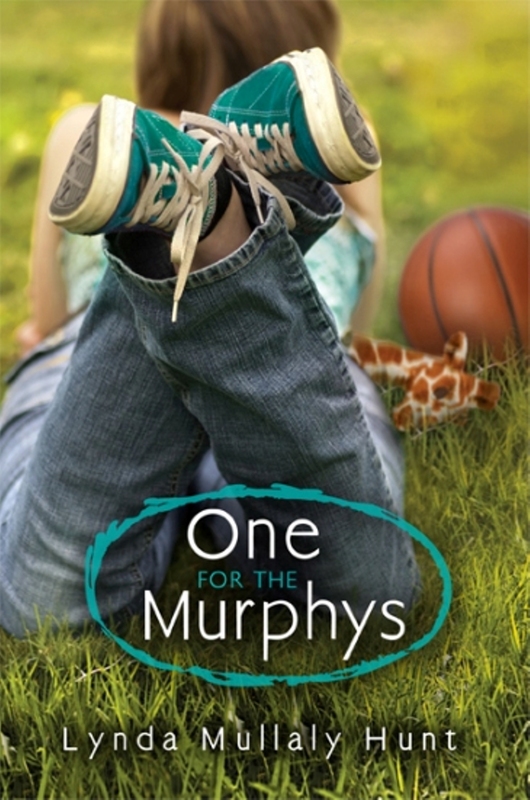 My lunch time book club wants our next book to be One for the Murphy’s. Trying my hardest to find 10 copies to make it happen by next Wednesday! Thanks for sharing your experiences as a teacher. I love learning from others and what was effective in their classrooms I make a point of daily validating kids verbally. I never thought to put it in writing! I attended NerdCamp and got to see you speak. Over the last week I gave out little love notes to students, sharing something specific that they’ve done that I noticed and that I’m proud of. Such a huge impact for such a small thing for a teacher to do. This will definitely be something I do forever. Thank you, Lynda! Thanks so much for doing this! I’m excited to write my notes for next week! Making others feel noticed, important and special is not a difficult job if you are doing it for all the tight readers an as well as with love. Adults & children thrive when they can trust those with whom they are working & learning. Evidence of this can be found in your stories. I’m looking forward to reading this latest one. Love this! My students last year loved Fish in a Tree! We would love any of these prize packs. My wish is I can continue sharing the love of reading with more and more students each year. This is very generous and thoughtful of you. Thank you for the opportunity to win some swag from you! This is my 20th year teaching 6th graders and I keep a stack of thank you cards that i use for this exact purpose. I have seen that magic that you talk about. who may need this most. Thank you! Love this! Thanks Lynda! I have a lot of students who need to see a positive message this week. I have a student this year. That student who is absent about 50% of the time, and when she is at school, she’s late and needs to use the bathroom as soon as she arrives. That student who constantly leaves her book and all of her stuff behind in my classroom. That student who lives in a life of chaos and instability and the consistency of school just doesn’t work for. That student that I want to help, but often have no idea how to. And then I handed her a stack of books this week to look through, and she picked Fish in a Tree. She hasn’t left it in my room and she seems really excited to read it. It might not be a superhero fix, but you are a superhero to me because right now your book is speaking to her. Thank you! @mrskarenmckenna I can’t wait to write some notes! Thank you for such an AWESOME giveaway! Books, notecards, and swag that will draw students to your already amazing books! Even if you’ve been teaching for what feels like forever, if they ask you to swing on the swings, do it. You won’t regret it. Your work is incredible. I read FIAT as a read-aloud to my first class ever…they were mostly military kiddos, so it was extra special. Your writing pushes me to be better. Lots of love. I wish that I could make a difference in my Title I kid’s Lives. I see almost 900 students a week and I want them to know that someone out there loves them, even if it’s just by a smile and hello every morning!! Your books are amazing and I can’t wait to read the next one. I LOVE this!!! I can’t wait to write 5 notes this week! I’m already considering who I’ll write to. I tell all my teachers that Fish in a Tree is a fantastic read aloud. 🙂 Thank you for supporting students & teachers!!! I happily take the pledge to write a minimum of five positive notes to students this coming week. Wow! Lynda you are amazing! I love to write notes to my students past and present. I also make short video messages for them to watch in the morning. The way their faces light up makes the rest of the day fabulous! Good luck to everyone! Thank you for championing teachers and kids!! We love your books. Thank you for the giveaway and the good reminder to write notes to our students! I think I will write some to kids I had last year, too. These books have such important messages! Thank you! Thank you for writing, inspiring, and teaching! Your books are wonderful. My class is excited to read Fish in a Tree every day. I can’t wait to use your books and your visit to our school when we start our writing process next week. Keep writing! @JuleeMurphy Yes, I will write 5 notes and more. Children and adults need encouragement and to know that they matter. Your books are an inspiration so thank you for giving us quality reading that makes it easy for the librarian to recommend. What a simple but amazing idea. Challenge accepted! My twitter handle is @mayralovesbooks and my email is mayra.loves.books@gmail.com. I am an elementary school librarian so I see everyone at my school. It will be fun to tell the students I wrote to you. 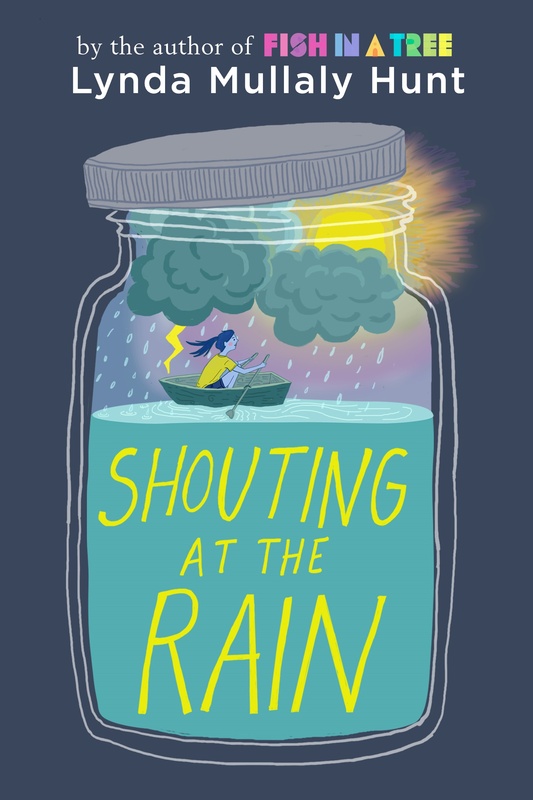 Can’t wait to read Shouting at the Rain! I would be shouting at the rain too, but these days in Wisconsin it’s more like shouting at the snow! Thank you for supporting teachers and inspiring teachers to be champions for our kids. As a 7th-grade reading teacher, I am always talking to my kids about how our words have power – the power to hurt and the power to heal. I have a mailbox in my room where students can leave me notes and I always write back. I look forward to delivering some of my own mail this week. Thanks again for supporting us teachers – it’s one of the hardest jobs in the world, but in my eyes, the most important job in the world. I remember having an extremely smart student who never trusted herself when taking tests. She wanted me to walk her through every single question. One time she called me over panicking that she didn’t know the answer, and I looked her in the eye and told her “you are so much smarter than think you are. You know this. Trust your gut.” Something changed in her after that. It was like all she needed was me to say out loud that I saw her and knew how hard she works. @SwampMiddleSch Every day, I come home with a story about something a student said to me – about their own life or a book. I don’t grade them, so the library is a safe welcoming space for many students. Best job in the world! What a great idea! I will start this week. I expect this to pay huge dividends. scwilliford@gmail.com. Retweeting now. Yes!! All kids need the affirmation, but we know there are some who need a buoy even more. Thanks for the reminder to take the time to tell our Ss how great they are. I pledge to write at least five notes. This reminds me of FIAT, my class reads it as a book club. We all write “impossible” on a sticky note and rip it apart. It shocking to see how many tattered pieces of paper are used weeks later as bookmarks with the word “possible” on it. I wish for a positive future for all children and for children to truly enjoy their childhood. Your books are incredible! I have loved everyone and I am sooo excited to read Shouting at the Rain!! Something that doesn’t just have to be done with kids. In this crazy world we live, everyone now and again could use a boost . As the PLC leader at my school, I also pledge to drive this with my fellow colleagues. We all have those tough days, hoping that “you rock” will get some through those tough times . I make the pledge, happily, and am so glad to be a part of this movement of student support and love. I am not a hero. My students are heroes. One is reading One For The Murphys right now. She HATES to read, but she cannot put this book down. Whether she relates to a character or she is furthering empathetic skills, she is reading and loving it. Thank you. Wonderful ideas and inspiration from a very special author. I’m so looking forward to Shouting at the Rain! I have become such a huge fan, I listened to the audio versions of One for the Murphys last spring and Fish in a Tree this fall and FELL IN LOVE! I have this idea of starting a book club for our teachers at school with Fish in a Tree as I think it would really make them think as it did for me about just how different every child is and we have to try to connect with them all. A fellow teacher told me once great teachers will “steal” others ideas/plans, well I love your idea of using business cards and might just have to “steal” it! So glad our literature and educational world has someone like you in it to help spread positive messages! Thank you for this wonderful idea. I’m definitely going to start doing this. A love note, in a sense. Im thinking this is really needed, especially for a few I’m thinking of right now. Thank you also for this contest. I’m entering it because I just moved from 4th to 6th. I was teaching 4th for 15 years and had built an extensive library. I couldn’t take any of the books with me to 6th and my new room had ZERO books in it. I added a few of my personal books to it, but I have more picture books than 6th grade chapter books. Would love to add your books to my limited collection! Crossing my fingers & toes. Helping my kids see their full potential and letting them know that I love them and honestly care about them, is my passion. Without the relationships I build with my them, learning will not take place. I love this idea. I love that the comment-that so many of them need, is there for them forever-whenever they need it and however often. Thank you for this opportunity. My 5th graders and I would be very thankful. I am up for the challenge! Thank you for sharing your story & encouraging us to take action! Leaving notes for kids is an essential part of teaching, relationship building, and trust! Leaving notes for your colleagues makes a big difference too. This is something I will share with all of my teacher friends. Great idea! This is a great reminder to do get back into the routine of leaving positive notes for kids. After a crazy week of conferences and report cards, this will be a welcomed task! True heroes show kindness and grace when no one is watching. First, you are 100% right about the notes. Just today, a child made a book and gave it to me, so I wrote him a thank you note and told him I could already see what an amazing author/illustrator he was. His teacher came up to me and she said he was over the moon. She was so happy to see him that happy. I think we forget that what we do for one child can have a ripple effect sometimes. Now for my wish…I wish all kids had access to equitable education with the resources they need and compassionate teachers by their sides. Currently reading Fish in a Tree and loving it. I wish for all students to feel special in their own way. Thanks so much for the opportunity! I pledge to write notes to 5 students next week at school. Children deserve adults who are excited about teaching them and care enough to go the extra mile. I’m @mama_librarian (librarymaggi dot Gmail dot com). I wrote two love letters to six-year-old students this week. Thank you for giving us text that shows our students it is okay to be different and to think outside the box. We as educators also need these powerful inspirational text to show us that as educators it is also okay to be a bit outside the box. My little fantasticos are loving your book as a read aloud and BEG me daily to read more! I’m hopeful they will all learn the message of being their self and acceptance of those who may be a little different. This is an amazing giveaway! Thank you! I love the cards. Praise in a pocket. Brilliant! I am featuring Shouting at the Rain in a “Waiting on Wednesday” post on November 14! I’m @kahnbrenda on Twitter. Thanks for doing this and for being you. Thank you for getting this message out there! Countless times my notes to my students as to their parents have helped forge rapport with my students. What a lovely concept. I pledge to write five notes a week, to inspire confidence and self love in my students. Your post made me tear up. I teach K, and most of my kids can’t read, but I remember last year when I had a mailbox to write letters to our “Fish Expert” and I wrote them back, one little JK girl carried the letter around for days. I can only imagine how much they would love a little card that says “You are awesome!” Thanks for this great idea. I’m going to start this week with 5 students. I love your books and by the way, YOU ARE AWESOME TOO, for starting this! I pledge to write an encouraging word to at least 5 students AND 5 faculty members at my campus! This so BRILLIANT and BEAUTIFUL! What a great idea! I am a teacher as well and one year created something I called the sunshine project, which was leaving a positive message or quote for the same student who was in need of it, everyday for the semester. At the end of the semester, she came up and gave me a heartfelt thank you. #tellthemtheymatter. Thank you for highlighting this important idea! Thank your for this message that is so important. Students need validation as much if not more so than teachers. I pledge to write 5 notes to students this week! Loved Fish In a Tree! Daughter did too and Onw For the Murphy’s. Love the cards idea. Lynda, Thank you for another heart tugging post reminding me of the power I hold in helping build up a child with a simple act of written kindness. I’m working on my letters this morning and it’s making me feel good, too. Thank you for being a champion for our students. Looking forward to reading Shouting at the Rain! Thank you for pushing others to #TellThemTheyMatter! This is a great idea that can have a great impact! As a public librarian I still make lasting connections with my kids. I love the idea of giving them notes and im going to do it either way. Thanks for the idea. I pledge to be the spark that brightens someone’s day. I love your books and can’t wait for your new release! We read fish in a tree this year in a 3rd 4th grade gifted classroom. Perfect for addressing social emotional concerns and treating everyone with respect. I am the school librarian and my kids (and teachers!) love Fish in a Tree. I have come across the phrase “great minds don’t think alike” several times in the last few weeks and have told several of my kids. We are thankful for your book(s) and would love to win the prize! Thank you for these incredible giveaways and more importantly thank you for spreading this idea out into the world! I commit to writing my kids notes this week! I wish to be the teacher for my students that Mr. Daniels was for Ally. I have truly loved your stories and they have strongly impacted my students and helped to grow my connection with them. My students come in each day excited to share a new chapter they’ve read and exciting to be listened to and given attention. This is amazing! Those kids we’re lucky to have you as a teacher. I try really hard to make my students feel important, valued, seen – this is a fabulous idea that I can’t wait to use!!! Thank you! Thank you for being an inspiration to educators and providing ideas and gifts for us to pass on to our students! I pledge to send AT LEAST 5 cards and will also pass on to teachers! Lynda you have an incredible power of making me want to be a better person every time I read one of your posts. Last year as a first year teacher I had an incredibly tough class and I swear writing notes to them of positivity got me through the year. My grandmother inspired me to do it — she taught middle school English for forty years and she used to ask the custodians for kids locker codes so she could sneak Little gifts and notes into their lockers. Totally anonymous — she didn’t want the recognition, just wanted to make a kids day. I got away from my note-writing this year but you’ve made me realize I need to get back into it. Thank you for all that you do. It! Love all of your books and can’t wait to read your latest. Fish in a tree inspired me and so many of my kids a few years back. Being “the difficult” kid is something I know all too well. For our schools ABC countdown, N is note day. Students and staff write positive notes to each other. Seeing their eyes light up is priceless! I do this everyday by just smiling at kids, saying good morning, giving high fives in the hallway, etc. However, I’m planning of adding these cards ASAP. So grateful to you for this push. Report cards come out on Friday. AT LEAST five of them will have more telling them why they matter. Absolutely love this! What a fabulous giveaway. My students loved Fush in a Tree. I can’t wait to read and share your new book. I love your idea about give positive notes a week. Thanks for the nudge . I can’t wait for your new book. The kids love them as much as I do. I promise. Heroes can appear in unexpected places. 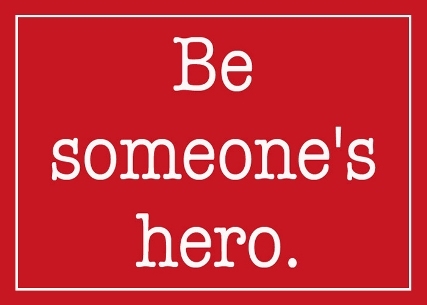 Be a blessing to others whether or not you wear a uniform – your invisible cape and quiet actions make you a hero too. We give recognition notes to students. After reading this I am going to personalize them more! Your post made me cry-in a good way. Thank you for doing what you do, and for supporting other teachers. I’m not a teacher, but I know they’re not given the credit they deserve. Teachers ARE heroes- anything to ‘light that fire’ of learning, but I guess I underestimated the other superpowers teachers have, the power to build self-esteem by letting them know someone believes in THEM. 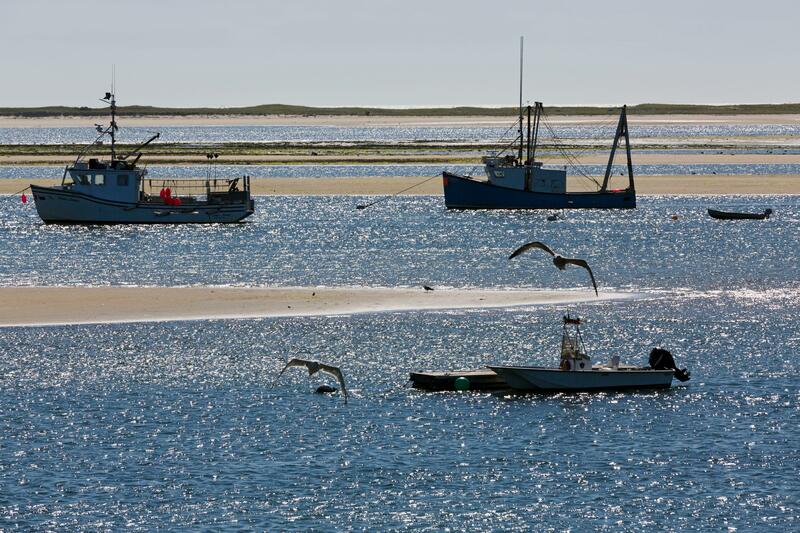 After a sharing a booktalk about Fish in a Tree to my library students I heard a quiet gasp….then, “I love that”. I felt her connection to the story immediately and placed the book in her hands. These stories make a difference! Thank you! Such a great book Fish in a Tree, reading it to my class now and they beg for me to read more!!! I love your book Fish in a Tree! My class just finished reading Fish in a Tree and they LOVED IT! As far as this blog post, I have a student right now who has a VERY hard shell. The relationship is slowly starting to grow, but recognizing his potential is so foreign to him, he has a hard time accepting it! I also find myself having a hard time with accepting compliments because I feel like I can always do better, but it’s something I’m working on! I need to show my students it’s okay! I have the words “You Matter” in the front of my room above my white boards so as soon as they walk in they can see it. I have the words “You Matter” in the front of my room above my white boards so as soon as they walk in they can see it. I also make sure that every student gets a handwritten postcards from me. I love your books and can’t wait for the next one. I can’t wait to read SATR, Fish in A Tree has been life changing! We can never become too busy to tell kids they matter, to see behind their walls, to model the genuine kindness that gets snuffed out in this world. We must keep reaching. We must keep smiling. We must love them. Anything that will keep my kids reading, I’m in. They do love book-related giveaways-especially my struggling readers–anything that gives them the boost that they are part of the reading community! This is a fantastic idea, can’t wait to see how the kids react. I used to leave them notes on their desk when I taught 4th, but haven’t written many notes since moving to the library. So I’m going to make sure I write at least 5/week. Fantastic ideas in your blog and I. The responses! I LOVE this idea! What a wonderful idea! I look forward to rising to your challenge. Thanks for your inspiring stories. Can’t wait to read, “Shouting at the Rain”!!! As a former classroom teacher & now librarian- I am so grateful for your stories & advocacy for ALL children. The fact that you give so much of yourself through examples like this contest is so appreciated & meaningful. It shows our students that authors are human & gives them hope! On a side note, my awesome principal begins every staff meeting by giving us time to write to two students… SO powerful & has changed the culture of our whole school!! I love this idea and actually, am currently reading Fish In A Tree to my students – I do every year. Such a powerful message! I promise to not only write 5 notes, but 26 notes – one for each student in my class! I love the idea of the business cards, I’ll be getting some ASAP. Every year my students love Fish in a Tree and make so many connections to your characters! I am lookin forward to writing my notes! Thank you Lynda for always pushing us to be better people/teachers! I know that this will definitely make a difference in the lives of those students who receive any of these kinds words from an adult! Love this! The power of praise has an amazing impact. Without teachers believing in me, I would not be successful and I never forget how much they taught me that I was important! What a generous give away. Thank you for pushing me to make sure my students know they matter. I don’t usually enter these contests, but I loved One For The Murphys and Fish In a Tree and can’t wait for Shouting At The Rain! 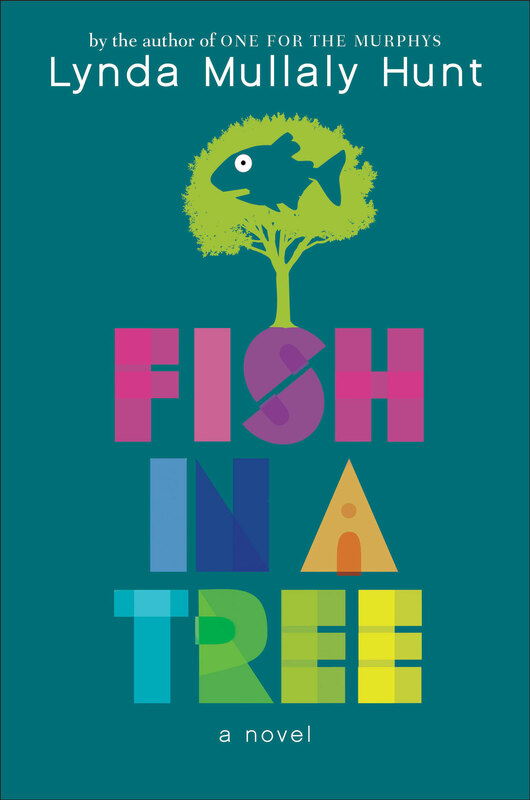 We did Fish in a Tree as a class read aloud when it first came out and it really resonated with me as an Intervention Specialist and with many of my students who struggle with school. I pledge to write 5 notes to students this week! I love this idea and have used positive notes in the past but need to be more faithful in this practice. I love what you said about kids needing to hear something positive 150 times for everything that is negative; it is a good reminder that we need to continually build kids up and #tellthemtheymatter. Love your message. Wonderful reminder that it is often the small things that can make a huge impact. Celebrating what we do, embracing what makes each person unique and choosing to be kind can truly make this world a better place. Thank you for your stories! Can’t wait to read Shouting at the Rain! I LOVE Fish in a Tree!!! I love the business card idea! I send postcards to the homes of students with positive messages – kids love getting mail! I love this idea and the business card is a great way! Thanks for the idea! Your words have stuck with me since I first read Fish in aTree to my learners several years ago! I read it every year! I can’t wait for Shouting in the Rain. I have several little ones shouting out to be loved this year! I get to show up and love them. HOW GREAT IS THAT. I have loved reading FISH IN A TREE, by myself, and with my dyslexic daughter. I have also started reading it to my advisory class of 8th graders, as a read aloud. Super powerful! Thank you for sharing the idea of the “you are awesome” cards. I am brainstorming about ordering some. You should include a link so we could order through you. I just got two copies of Fish in a Tree for my library after seeing it in a LitJoy crate. I haven’t gotten to read it yet (I’m finishing my library masters degree and have to read so many books), but I can’t wait to hear what my students think!! What a cool prize! Thank you for writing books like these. I read Fish In A Tree last year and it made such an impact on me. It was a book that I recommended more strongly to teachers than I did for students. I see the value it has for students to read it, but wow, the value for teachers is so much. Thank you. Last year I wrote all of my students a note for Christmas and handed them out. I really enjoyed taking the time to reflect on each student and write something personal and the students loved it too. I will take your challenge and aim to send a post card to all 80 of my students throughout this school year! They do need to know they are seen and that someone cares for them. Thank you for all you do. Not even sure I’ll catch all the steps, but I love this. I pledge to write 5 notes to students and 5 notes to teachers who need it as well. Wanted to share that I read “it takes a village” picture book to my preschool group last week and I asked them what it means to be a champion for someone. One student who often struggles said ” our teachers are champions, you’re my champion” He totally got it. That’s why we do what we do. You are a champion. This is amazing! And I definitely want to follow through with the note cards. Thank you for writing books that my students can see themselves in. Wow! Thank you for your important, empowering books. Thank you for such a fantastic idea. I can’t wait to start writing these sentences to my charming, funny, spunky students (all of them). YOU are a hero! This is a great opportunity! You inspire me as an educator and are a role model to students and teachers. And… I 💜 your books too!! Fish in a Tree has made a huge impact on so many kids lives. Just the other day I had a student come and say that he saw himself in your book!❤️ He was so happy that he was not alone. Students love your books!!!! The power of a note is amazing. I wrote one for all my students at the beginning of the year. I’m inspired to begin writing round 2. The students at Wilson, Natick, MA and I are excited about another great book from a great author! I never thought to do something like this. I will do it and see what happens. Thank you for making me think outside the box. I love that you share your experiences and your learning with fellow educators. You remind us all that it is the small and genuine connections and not necessarily the grand gestures that make the difference we seek to make in our students’ lives. Thank you for that. Love this idea! I’m definitely going to try it with my 7th graders this week. Love this! I’m looking for ways to build up my students. Looking forward to the book! Thank you for this! I wrote all of my students last summer, but I love this idea. I pledge to write at least 5 notes a week. Kids are definitely worth it, and our words mean so much to them. Written down, they can reread them as many times as necessary until they truly believe how awesome they are! I love this!! What a great way to connect with students. Thank you for your inspiration. I’m off to write my five for the week…. I absolutely love this idea! Will start this week! 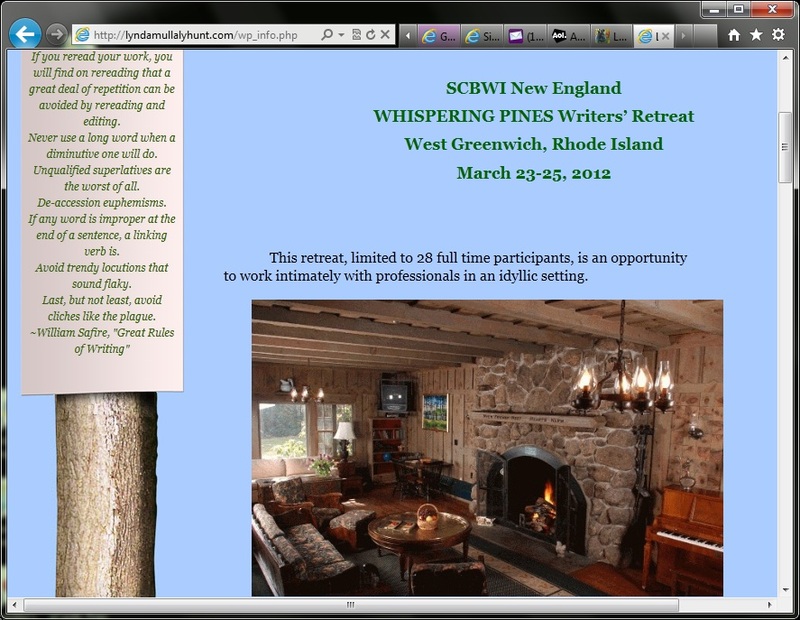 I was at Nerdcamp LI when you spoke about this amazing technique to reach out to kids. I am now an elementary school librarian, but I used to be a high school English teacher. When I left my old school I wrote each student a personal goodbye card. I saw a few of my students years later who said they still had the card. Words absolutely make a difference! Will gladly write the notes! The hard part will choosing without doing all of them at once. What an easy and powerful thing to do. We often send cards through the mail and they always make a huge difference. 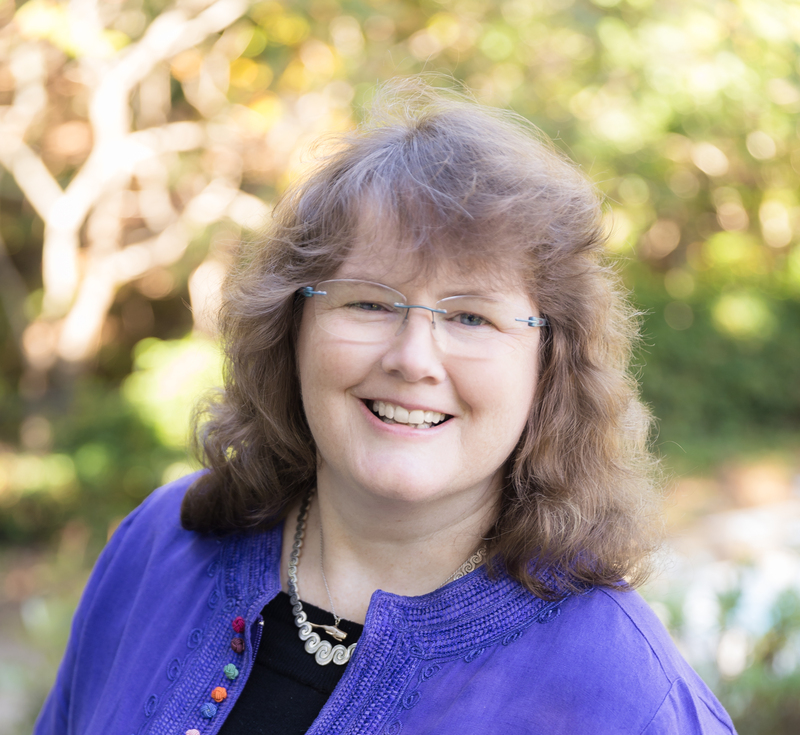 Excited for your new book – you’re an amazing writer and person! Thanks for all you do to make a difference for kids & teachers! I nominate my prior co-teacher and friend @trishdonlin. She is True champion for kids and teachers! This prize will help her as she strives to help each kid know he matters! Thank you! I love this and I officially want to order note cards like these! I can think of several kids right now that I know need some love and I’ll definitely be writing them a note. It’s conference week and I know I’ll be spread thin and exhausted, but I know those exact same kids that need affirmation are worrying about what their teacher is going to say to their parents so the timing is just perfect. Fish in a Tree is a required book for the candidates in my M.Ed. Literacy Education Program. It is powerful and my students love it every year. Relationships are the key to successful classrooms. Every child deserves to have that teacher that will go above and beyond to show them they matter. #TellThemTheyMatter everyday! I will gladly write to notes! I know as a teacher when an administrator takes the time to write down anything positive it means a great deal. My AP wrote a post it that said “Thanks for including your intervention goals in your “I will” statements this week.” That post it stayed on my board for six months! I do this often because of the difference it makes. Thank you for posting and supporting #TellThemTheyMatter with giveaways. We’d do it without but live to be appreciated too. Can’t wait to share this with our school. What an awesome way to help kids realize they have a champion! Woohoo! What a great idea!! We are reading this in my school as the Literacy Lunch (Book club) book. Kids are recommending it to other kids, teachers are recommending it to everyone! Students who never participate in Literacy Lunch are signed up and even more are reading it! Thank you so much for writing this book!! What an amazing giveaway! Im reading FIAT with my 4th grade daughter right now. I frequently write out positive notes for my students and they are one of their favorite things. I love how happy it makes them to receive a little note saying how awesome they are! This book changes my kiddos every year. You can see them begin to understand as I read! I LOVE it so much!! I love the idea of writing notes to students. I will do it this week. Ever since I heard you talk in February at Follett, I’ve been writing these notes. The kids LOVE them! And so do I- thanks for being such an amazing author and inspiration! I wish I had a way of letting every student know how special they are each day! Reading your book has transformed my teaching! I ran a Book Club with FIAT at school with 30 4th and 5th grade students and it was a magical experience. Your book should be required reading for all teachers!! I can never thank you enough! I wish students could see their future selves and have the confidence to go farther. SImple yet so powerful. We need to let these kids know that we see them and that we’re glad they are here. Thank you for the book recommendations. I will be reading them both over the hoiday break. Thanks for sharing your experiences. I look forward to championing students in the same way. I realize your giveaway ended a long time ago but I still want to thank you for writing Fish in a Tree. Many years ago, having coached recreational sports with my husband I realized the children with the most behavioral problems were the children with little, no, or only negative parental support. It didn’t seem fair. I was a letter carrier at the time and chose to go back to school to get my teaching degree. I felt I could make a difference in the lives of the children who needed it the most. When I interviewed for my position 15 years ago I was asked about my philosophy in teaching. I explained I believed anyone could teach and I felt my job was more about making the students feel good about themselves. Once that was accomplished the rest would be easy. I wasn’t sure if that response was going to be accepted but I believed it was too important to not be said. Kindness was the theme in my classroom last year. This year, I looped from 2nd to 3rd grade with my students and your book seemed a perfect Read Aloud for continuing this theme. I feel deeply that my students, those struggling and those not, realize performance does not define the person. The students are beginning to realize that kindness comes without judgement. They struggle with this at times. We have watched videos of what it is like for a dyslexic person trying to read while the letters keep moving around and the students have tried reading text written with letters backwards and upside down. These activities have had a profound effect on many students. Last week, the students voted that when we finish reading your book our next bulletin board will be about A Fish in a Tree. I love your idea of the note cards and plan on using them. In closing, I think every teacher should read your book as a reminder of the impact, positive or negative, we have on our students.